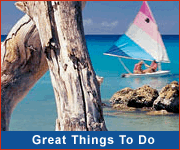 Car Rentals In The Caribbean! 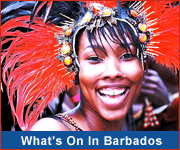 Hire a car and explore Barbados for yourself! There are numerous Barbados car hire companies across the island offering a range of Barbados car rental options from the popular mokes to rugged jeeps, stylish air-conditioned vehicles and compact cars. Many of these Barbados car rental companies will deliver the vehicle to the airport or your hotel for your convenience, and provide you with a free road map of the island. These companies will also arrange a local driving permit (mandatory) at a cost of US$5 for a 2-month period or US$50 for a 1-year period. Car seats for infants are also readily available. View Barbados driving tips.